From new author, King Everett Medlin, comes an action-packed epic of hope, rebellion, and the quest for redemption. The hard life of mining killed off thousands of prisoners every year, and there was no predictable pattern to it. Stronger prisoners died in the mines just as easily as weaker prisoners. Determination to survive, or resentment at having been sent to this subterranean hell, could certainly sustain a being for a while, but accidents were quite common. Death could come easily, and at most any time. Prison administrators didn’t care. They didn’t have to. In another few weeks, there’d be a ship arriving with more prisoners anyway. 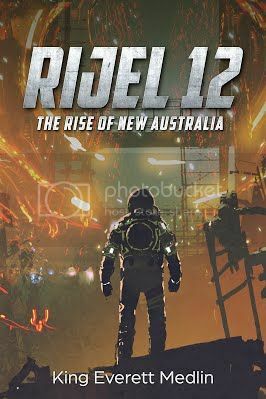 Life deteriorated into a matter of brutal survival for the desperate beings on Rijel 12. And yet fifty Earth years after its creation, even when faced with such an impossible existence, amazingly, some beings learned how to survive. They adapted, and they overcame by creating a society of their own. Leaders arose, structure developed, and the situation stabilized, partly driven by necessity and partly due to the sheer determination of intelligent creatures seeking to exist, no matter what the circumstances. They figured out ways to live on. 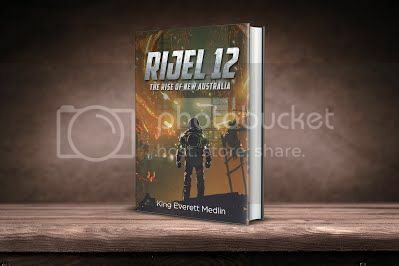 King Everett Medlin has been writing since 2013 when he first developed the idea for Rijel 12. It was originally designed to be a SciFi series, with the objective of creating several short installments. Instead, he got a lucky break when Chandra Press from San Diego responded favorably to the original draft, deciding to publish it as a full-length novel. 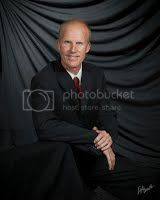 King lives in Denver, Colorado with his lovely wife Caroline and has two grown children. He's a graduate of the University of Oklahoma where he played college Rugby and remains a diehard Sooners fan to this day. His specialties are Science Fiction and Mystery/Suspense novels, focusing on unusual stories with intriguing plot-lines and amazing characters. This sounds like an amazing book with a great cover! Sounds very intriguing. I don't read too much sci-fi but I might have to try this one.